Make the most of the warmer months and bring your garden and patio to life with an outdoor audio visual system designed for you. Have friends over for a barbeque, throw a party under the stars or just relax in your own backyard; Soundworks lets you set the tone for any outdoor entertaining with your favorite movies and music. 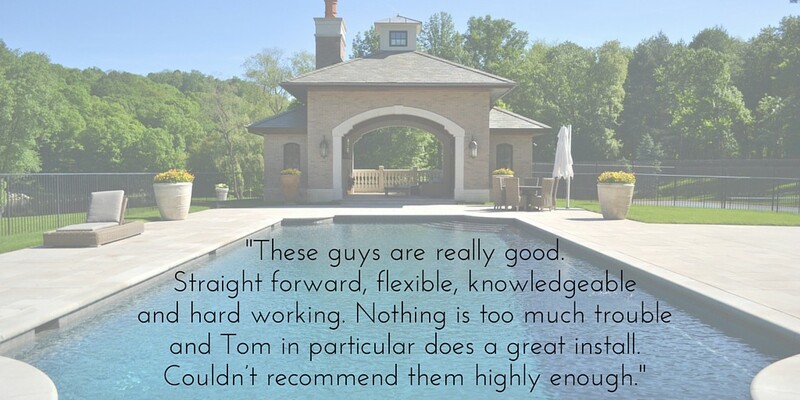 Read and watch more customer testimonials here. 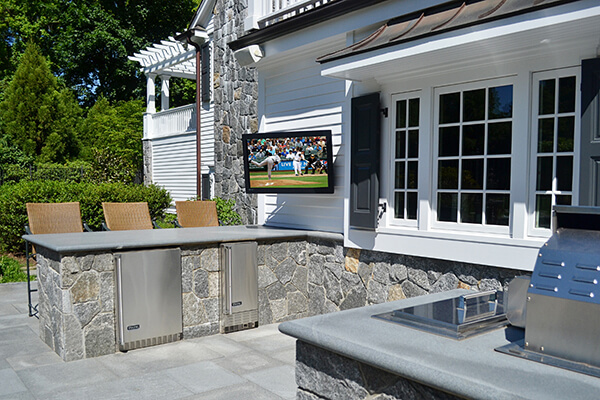 Enhance an outdoor kitchen with a TV that is easy to use, seamlessly connected and always entertaining. 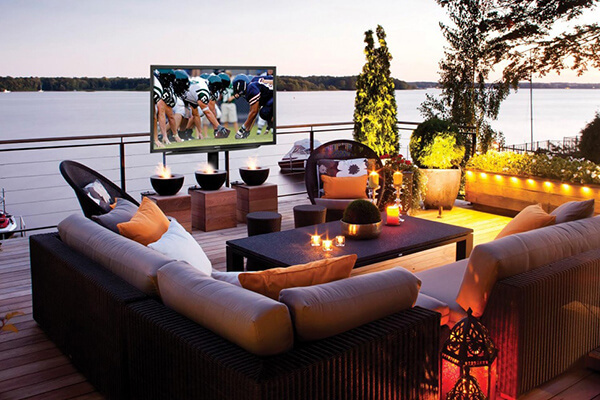 The Seura Storm Ultra Bright weatherproof, outdoor television is ideal for your deck, patio, or even your hot tub! 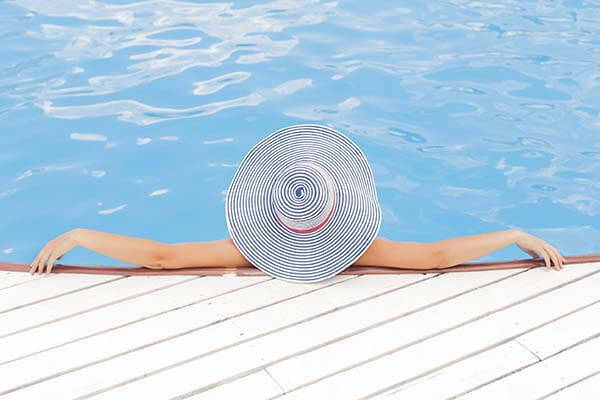 There’s no need to worry about your screen being blacked out on those sunny days, Seura’s outdoor televisions are designed with LuminOptics so you can enjoy vivid image quality, even in direct sunlight. 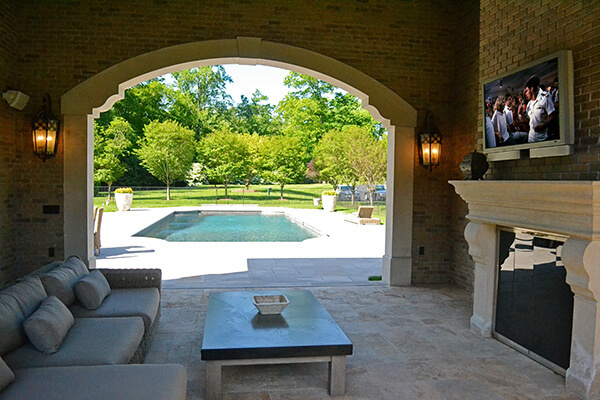 Sunbrite’s all weather HDTVs are designed for permanent outdoor installation, making them the perfect addition. Mow the lawn, skim the pool and dig up weeds without missing the big game, especially when paired with some bluetooth headphones! Engineered to withstand harsh environmental elements, these hardy screens still look good in any outdoor space. Soundworks offers a wide variety of high quality outdoor speakers to make sure you have the best audio for your property. 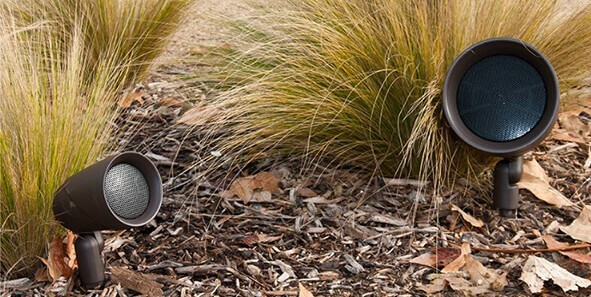 Our innovative outdoor speaker systems can fill any size yard or estate with high-quality and even sound coverage. Want to enjoy all the benefits of outdoor speakers without having to see them? No problem! 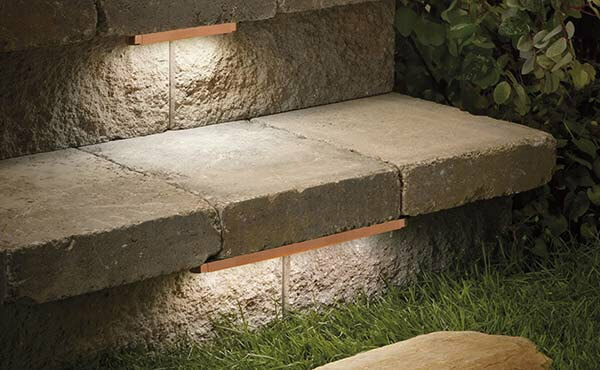 Soundworks offers a variety of discreet landscape speakers that will blend into the scenery. We can custom install an array of rock speakers, planter speakers, or in-ground speakers to fit your preference. All our outdoor speakers are high performance and have year-round durability to withstand sever weather. 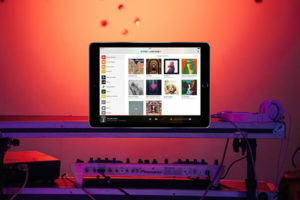 Enhance your outdoor space by adding speakers that carry crystal clear audio exactly where you want it, all controlled from one app that can access all of your music. 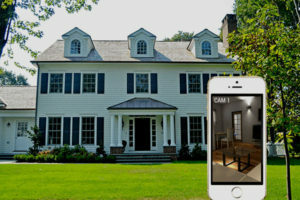 Upgrade your automated lighting system to use the same one touch control outside the house. 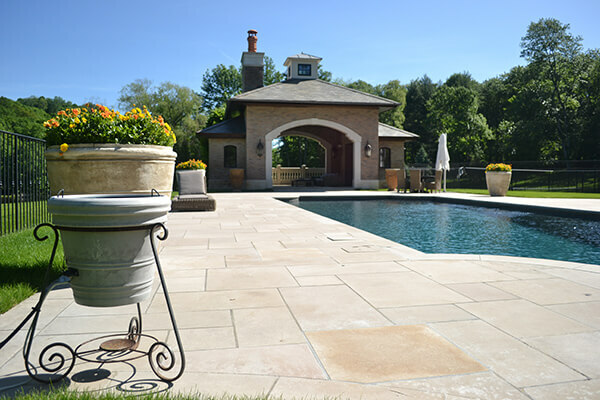 Contact Soundworks today to talk to our team about upgrading and automating your outdoor spaces! 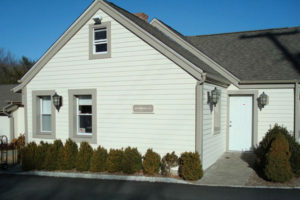 We serve communities in Westchester County, Fairfield County and NYC, including Armonk, Bedford, Bronxville, Chappaqua, Darien, Greenwich, Harrison NY, Pound Ridge, Purchase NY, Westport and more. See all areas we serve.